I remember playing X-wing back in the day. 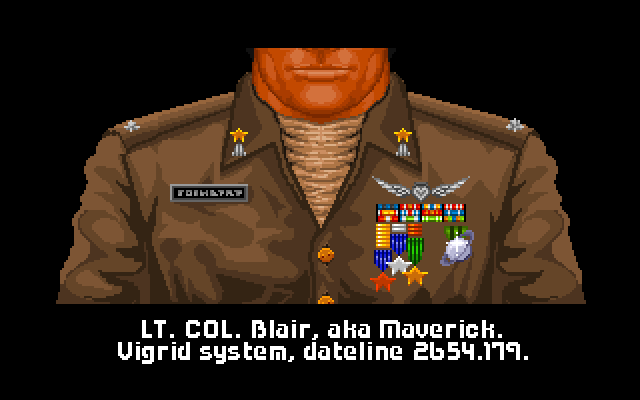 One of the features I liked was getting the ribbons on missions and medals on campaigns. I liked their design and my medals case and uniform. I currently play Neverwinter on the ps4 while I wait for LT. In that game you get what are called boons. Boons add small increments to your characters profile. However you have to choose what attributes you want on the character so no two characters are exactly alike. Like lets say you get a ribbon for killing (x) amount of enemies for a faction not only would you get a ribbon but the ribbon itself would carry with it your choice of lets say 3% armor damage or you can have 3% shield recovery. Tank or fighter is basically the choice between the two in this example. The medals after the campaigns are much higher but takes a long time to achieve.The rewards though make it worth while to climb the ribbons tree to get the medal associated with a particular campaign. You can even pick the campaigns you want to go after based on the rewards a particular campaign offers. It creates immersion and goals for players to go for. Some armor suits have an electrical field that flows just over the surface of the armor. I know that Neverwinter is a Multi-player but X-wing was not. Campaigns can be added as DLC as a pay per update if the players want more content later on. This post is long enough but you get the gist you can add and make it really immersive. Would you mind taking the time to format that? The basic idea is that the player is awarded attributes and digital awards for completing missions in games. I think this could work as a steam achievement system and does not necessarily have to be a default part of Limit Theory. 1. Medals are designed and awarded by the military and civilian leaders of a faction/government, for whom the service member works. How would that work in Limit Theory, in which the player's character might not belong to any faction, and might at some point create a new independent faction? 2. You could get around that by awarding "achievements" to the player, but that pops outside the gameworld itself. However, Josh once said that Limit Theory will not have achievements. Having said that, though, if Limit Theory is ever released on Steam, I would not be surprised to see player achievements of some kind implemented. It's a Thing. I'm sure if you asked nicely, someone would mod in a perk/medal/reward system. Jazehiah wrote: I'm sure if you asked nicely, someone would mod in a perk/medal/reward system. Assuming that the version of Limit Theory that ships is still going to be largely script-based, supporting relatively easy modding. 1. What might a medals (in-game awards) system look like? Who awards the medals? What should in-game medals (as opposed to achievements attained by the player) be for? For example, could individual factions offer medals for supporting them in some way? How about allowing medals to be displayed by procedurally generating them -- what would be good design rules for such a system? 2. What might a player achievements system look like? What would be good things to get an achievement for? Oooo, I liked the medals and stuff in Freelancer. It was a fun thing to play with and discover how you get them all on your own. Quite enjoyable. DWMagus wrote: Oooo, I liked the medals and stuff in Freelancer. It was a fun thing to play with and discover how you get them all on your own. Quite enjoyable. Where would that boosts come from? Where are they created in the first place? Are they just cookies the AIs produce to hand out as mission rewards? Do they affect only the player's ship or his whole fleet? If they affect the whole fleet why should the AI just hand out so powerful stacking boni and not just apply them themself? I meant Freespace, not Freelancer.